Definitions: propositions that attempt to define a certain term. 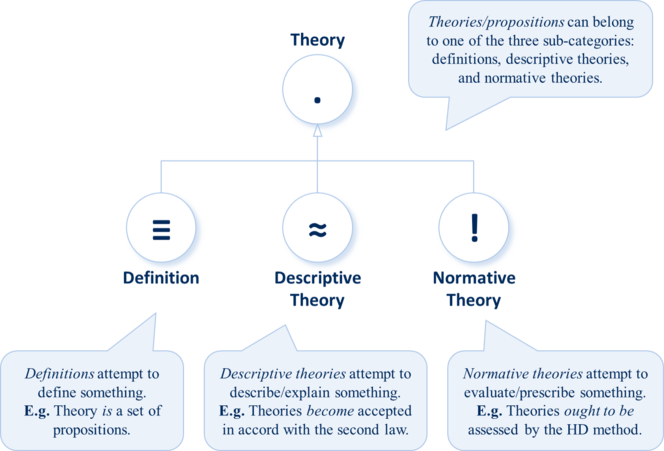 Descriptive Theories: propositions that attempt to describe (explain) something. Normative Theories: propositions that attempt to prescribe (evaluate) something. Here is a simplified class diagram for the sub-categories of theory. To add a page in this category, please do so under the respective sub-category. This page was last modified on 28 April 2018, at 18:17.